When it comes down to smart investments, other than gold, you generally can’t fail if you invest wisely in property. The Dubai property market is currently thriving, making 2018/2019 one of the most exciting times for real estate developers and investors. Dubai is one of the wealthiest locations in the entire world, and if you’re looking to build or expand your property portfolio, Dubai is the place to be. Just because the Dubai property market is currently so lucrative however, that does not mean that you should invest in the first area that you find. As you know, in terms of property development, the area you choose can make or break your profit margins. To ensure you invest wisely, here’s a look at the top 3 popular areas for real estate investment in Dubai. First on our list today we have Emaar beachfront. 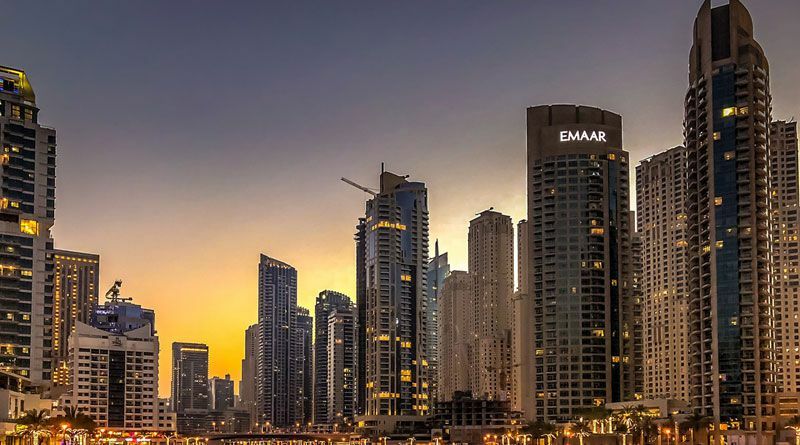 Emaar beachfront apartments is one of the most aesthetically stunning parts of Dubai and it is a haven for property developers and real estate aficionados. With stunning ocean views, white sandy beaches, clear blue skies, panoramic beach vistas, and fantastic travel links and amenities, if you are planning on investing in a beachfront property, Emaar beachfront is the area you need to invest in. Residents will enjoy access to a stunning strip of beach stretching almost 800 metres. With Dubai Marina and Sheik Zayed Road a stone’s throw away, there is plenty to do and see. Dubai Creek Harbour is described by many keen investors as ‘the future of property investment in Dubai’. Needless to say, it is a location with enormous potential. Property here will be situated at the waterfront of the iconic Dubai Creek Harbour, with amazing waterfront views, panoramic vistas, and unobstructed views of the majestic Dubai Creek Tower. With amenities, offices, amazing travel links, shopping, restaurants, cafes, and plenty more besides, it’s very easy to see why so many people are so excited to live here. Last on our list we have Port De La Mer by Meraas. For people looking for modern, luxurious, and stylish upmarket waterfront living, this is the ideal investment destination. With retail complexes and 6-star restaurants and cuisine all within walking distance, it’s easy to understand why there has been so much excitement when it comes to Port De La Mer and the investment opportunities it can potentially offer keen investors looking for the ultimate property portfolio. This seaside community is very much family-orientated and as it can be accessed via sea, as well as road, there certainly is no shortage of travel links. Private beaches, retail parks, shopping complexes, restaurants, cafes, and a thriving and friendly seaside community are all the norm here in the port.